Phoenix’s diverse team maintains extensive technical and manufacturing expertise, and success in growing small businesses into industry-leading suppliers. Over the course of the past 15 years, Phoenix has strategically shaped a management team dedicated to advancing our nuclear science into the forefront of the World’s fusion technologies. Phoenix’s diverse team maintains extensive technical and manufacturing expertise, and success in growing small businesses into industry-leading suppliers. We understand the practical realities of bringing highly specialized and technical products to market and, we know how to build systems that are safe and reliable. Ross is the CEO and a Board of Directors member of Phoenix. He holds a MS and a PhD in Nuclear Engineering from the University of Wisconsin-Madison. He previously worked as the Senior Member of the Technical Staff at Sandia National Laboratories. Ross has extensive experience with nuclear reactors and advanced power conversion systems that are directly applicable to Phoenix’s core technologies. His previous research at the University of Wisconsin focused on high-flux neutron generation for detecting clandestine material, specifically highly enriched uranium. Prior to taking over as President, Ross led the R&D effort to redesign the existing Phoenix ion source and neutron generator technology, leading to drastic performance increases. He is also an expert in radiation transport simulations and he has experience designing shielding, moderators, and reflectors for high-neutron environments. Ross joined Phoenix in 2010 and took over as President in July of 2011. During his tenure as President, Phoenix has increased in size by ten fold. As President, Ross has a very hands-on management style and is still intimately involved in almost all aspects of the daily technical and business operations at Phoenix. Evan holds a BS in Physics and Mathematics from the University of Iowa, as well as an MS and PhD in Medical Physics, and an MBA in Technology Management from the University of Wisconsin-Madison. Evan has extensive experience with computational modeling, ion beam transport simulations, and particle accelerator design. He has also worked in the venture capital industry evaluating technologies in the physical and life sciences and has served as a consultant for several technology development firms. Evan is a past recipient of a DoD National Defense Science and Engineering Graduate Research Fellowship, an NSF Graduate Research Fellowship, and a National Institutes of Health Biotechnology Training Grant. He has technical experience working in accelerator physics at CERN, plasma physics at the University of Iowa and medical physics at the University of Wisconsin – Madison. Since joining Phoenix in 2012, Evan has increased the variety and size of Phoenix’s revenue sources and has drastically expanded Phoenix’s market reach. Tye has over 20 years of experience developing products for high technology companies. He was the co-founder of Imago Scientific Instruments (now part of Cameca Instruments Corporation), where he led the development of the Local Electrode Atom Probe (LEAP), Imago’s flagship product, from initial sketches through commercialization. From its market introduction, this instrument has dominated the world market with sales in excess of $100M. Tye has wide-ranging design, fabrication, and scientific analysis expertise focused on the development of ion beam and other high-energy systems. He is the author of numerous papers and patents covering a wide range of technical innovations. Tye holds a PhD from the University of Wisconsin-Madison in Metallurgical Engineering. As the VP of R&D, Tye leads a talented team of technicians and engineers in both next-generation product design and, in moving prototype technologies onto commercial platforms. Steve is a seasoned executive with extensive experience in General Management and Operations in entrepreneurial manufacturing organizations that required leadership to accelerate from early stage, to the next level of business success. As part of Marquette Medical Systems, Steve was responsible for the P&L of the $200 million Cardiology division, after filling a number of manufacturing and engineering management roles. GE purchased MMS in 1999 and Steve began managing Global Operations and Supply Chain for GE-Marquette. More recently, Steve was responsible for R&D, Service, Manufacturing, and H/R as COO of TomoTherapy, an innovative radiation therapy device manufacturer for cancer treatment. Karina has over 20 years of Accounting and Finance experience in a variety of industries at companies both large and small. From 2009 – 2017, Ms. Carver was with Fiskars, a multi-national consumer products company. During her time at Fiskars, she provided financial support for a variety of product lines and initiatives. Prior to joining Fiskars, Ms. Carver worked for AE Business Solutions, IT hardware and services provider, Thermo Fisher, a scientific instruments maker, US Cellular, and Schneider National, a transportation and logistics company. Ms. Carver holds a Bachelor of Business Administration in Accounting from University of Wisconsin-Madison. David has over 25 years of experience in nuclear engineering, high voltage electronics, and power conversion. He has held COO and Senior Vice President roles for consumer and OEM technology companies. David’s held key roles in Operations for startups and multinational companies. He has extensive experience in lean manufacturing, supply chain, quality, and engineering. David holds a Bachelor of Science in Electrical Engineering and Masters in Engineering Management from Old Dominion University, Masters in Business Administration from The College of William and Mary, and PhD in Organization and Management. Paul has over 30 years of experience in the Commercial and Defense industry working across aviation, space, land, and sea. He has held executive and technical roles at Elbit Systems of America, Alcan (Rio Tinto), General Electric Aviation Systems, Smiths Aerospace, Derco Aerospace, Aviall Inc. supporting sales, marketing, business development, supply chain, marketing, logistics and product support roles. Paul has worked across fortune 100 companies, startups and multinational companies providing broad experiences in a variety of markets. During these experiences Paul traveled and worked in over 50 countries developing product solution to support commercial and government agencies. Paul attended Kellogg School of Management (Northwestern University) – Executive Development Program, Business. Mr. Terry Kelly recently retired as the President and Principal owner of Weather Central, Inc. He currently represents Wisconsin Investment Partners on the Phoenix board. He is the President of Venture Management, LLC and a member of the Advisory Board of Venture Investors, LLC. Over the course of his career, Mr. Kelly has founded several successful technology companies. He holds The American Meteorological Society’s Seal of Approval and the AMS award for Outstanding Service by a Broadcast Meteorologist. Mr. Kelly received a degree in Meteorology from the University of Wisconsin-Madison. 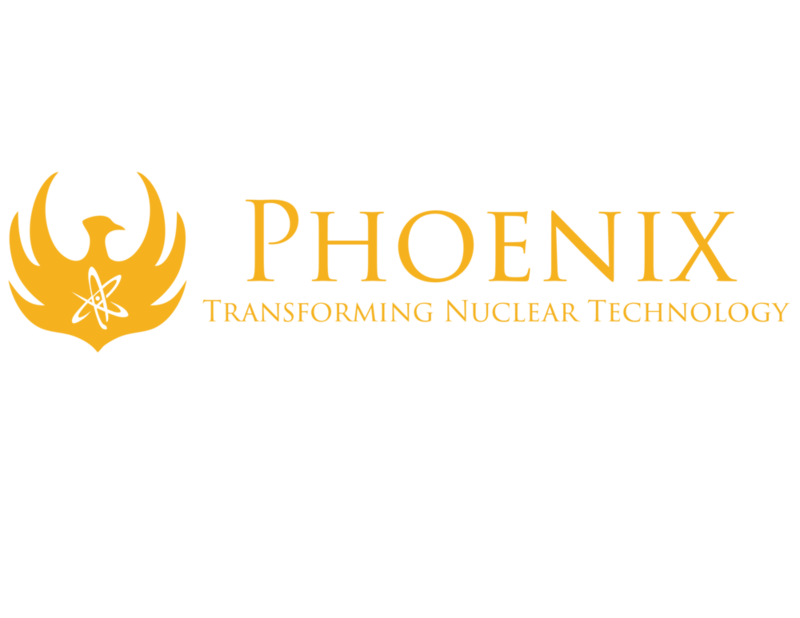 Dr. Gregory Piefer founded Phoenix in 2005 following the completion of his PhD in Nuclear Engineering from the University of Wisconsin-Madison. In addition to serving on the Phoenix board, he is the CEO of SHINE Medical Technologies, a company that spun out of Phoenix and is focused on building a medical isotope production facility in the United States that will utilize Phoenix’s core neutron generator technology. He previously served as Chief Technical Officer to Gillware Inc., a leading data recovery and remote data backup company. Mr. Larry Weyers is currently the Lead Director of Green Bay Packers, Inc. and previously served as treasurer with them. Mr. Weyers was formerly President and Chief Executive Officer of Integrys Energy Group, Inc. (alternatively, WPS Resources Corp.). He has a wealth of experience in the nuclear and fossil fuel power generation industries and possesses substantial corporate leadership and governance skills. He is a registered professional engineer. Mr. Weyers received a Bachelor of Arts in Mathematics from Doane College. He also holds a MS in Nuclear Engineering from Columbia University and an MBA from Harvard University. Mr. Donald Whelley is the Managing Member of DJW Advisors. He serves on the Phoenix Board of Directors as a representative of Knox, LLC. Mr. Whelley has worked for over 30 years in energy and financial services, providing valuation and advisory assistance. Recently, Mr. Whelley has been in charge of supporting clients investing in other industry sectors, including mining and biotech. Since earning a BS in Accounting from Clarkson University, his career experience has included accounting, finance, and acquisition work for companies involved in oil and gas, agricultural biotech, broker, dealer and syndication of real estate investments, and energy consulting. Lieutenant General (R) William N. Phillips recently retired as the Principal Military Deputy to the Assistant Secretary of the Army (Acquisition Logistics and Technology) and Director, Acquisition Career Management. Over the course of his 38 years in service, Phillips served as an aviator, an acquisition commander in Iraq and Afghanistan, and as the highest-ranking military acquisition officer in the Army. LTG Phillips earned a Master of Science in Procurement and Materials Management from Webster University, and a Master of Personnel Management from Troy State University. He is a graduate of Command and General Staff College, Defense Systems Management College, and Industrial College of the Armed Forces. Dr. Ross Radel is the President and a Board of Directors member of Phoenix. He holds a MS and a PhD in Nuclear Engineering from the University of Wisconsin-Madison. He previously worked as the Senior Member of the Technical Staff at Sandia National Laboratories. Ross has extensive experience with nuclear reactors and advanced power conversion systems that are directly applicable to Phoenix’s core technologies. Ross joined Phoenix in 2010 and took over as President in July of 2011. During his tenure as President, Phoenix has more than tripled in size. His previous research at the University of Wisconsin focused on high-flux neutron generation for detecting clandestine material, specifically highly enriched uranium. Mr. Nick Gaines is currently the Managing Director of Ultra Electronics - Nuclear Control Systems, a UK based manufacturer of nuclear sensors and safety systems. In addition, Mr. Gaines manages Ultra’s Electronics Manufacturing business. Having started work as a reactor physicist, Mr. Gaines has over 30 years’ experience across the nuclear, electronics, aerospace and automotive sectors. He has also previously held Director roles at Volkswagen Group UK and London Heathrow Airport. Mr. Gaines holds a BSc in nuclear engineering from London University and a Masters in nuclear physics from Birmingham University. Mr. Michael Kraft joined the Phoenix board in 2018. He is a Mentor-in-Residence at the U-Michigan Tech Transfer Office, an Advisor to Michigan Economic Development Corporation, and Managing Partner of MKT Partners, an Executive Advisory and Interim C-Level firm he founded. Since March 2017 Michael has been a part-time CEO of The Coretec Group (OTCPK:CRTG). As President/CEO he led many companies from start-up to revenues of $300 million and into worldwide markets as strategic suppliers and partners of the Global 500. Previously, Michael was CEO of Covaron Advanced Materials, Executive Officer and Vice President of Ceradyne Inc. (NASDAQ: CRDN), and a senior executive at Kulicke & Soffa (NASDAQ: KLIC). Michael has experience leading public and private companies and is known to increase shareholder value 2-10X. Michael has also been a member of two senior executive teams that grew revenues from ~$100 million to $1 billion range and in both companies increased shareholder value to >$1 billion. He has completed eight (8) global, multi-cultural acquisitions ranging in purchase price from $5 million to $1.5 billion. Michael completed the General Electric/Jack Welch Crotonville Management Program and a Master of Management and Business from Penn State. He holds a BSEE & Systems Science degree from Michigan State University and extended his executive education by completing courses in Strategic Planning and Technology Marketing at CalTech. Michael lives in Pinckney, MI with his wife and two children. Dr. Paul M. DeLuca Jr. is Provost and Vice Chancellor of Academic Affairs at the University of Wisconsin-Madison. He was previously the chair of the Medical Physics Department and holds an appointment as Professor in the Departments of Medical Physics, Radiology, Human Oncology, Engineering Physics, and Physics. His research interests have concentrated on fast neutron dosimetry including production of intense sources of fast neutrons, determination of elemental neutron kerma factors, and application of microdosimetry to radiation dosimetry. He is also the chair of the Nonproliferation and International Security Division Review Committee (DRC) at Los Alamos National Laboratory. He earned a BS in physics and math and a PhD in nuclear physics from the University of Notre Dame. Dr. Tsahi Gozani recently retired from Rapiscan Laboratories where he served as President, CTO, and chief scientist. In addition to sitting on the Phoenix board, he provides technical consultation to Phoenix scientists and engineers. He earned his DSc in Reactor/Neutron Physics from the Swiss Federal Institute of Technology (ETH). He has developed and implemented active, non-intrusive assay and inspection techniques for nuclear materials and other threats relevant to defense and homeland security. Dr. Gozani has authored more than 250 papers in technical journals and conference proceedings. He is the inventor and/or the co-inventor on eight patents (plus 3 pending) in the area of explosives and nuclear material detection. Mr. Mike Harsh is the co-founder of Terapede Systems, a digital x-ray detector startup, a member of the Board of Directors of FloDesign Sonics, a member of the Scientific Advisory Board of Phoenix and a consultant to start-ups in the medical device industry. He served as GE Healthcare’s Vice President and Chief Technology Officer, leading the global Science and Technology Organization and its research and development teams in diagnostics, healthcare IT, and life sciences. Mike was appointed to this position in 2009. He also served as Vice President and Executive Advisor for GE Ventures. Mike began his career at GE in 1979 as an electrical design engineer in nuclear imaging, and subsequently held numerous design and engineering management positions with X-ray, Ultrasound, Magnetic Resonance Imaging (MRI), Patient Monitoring, and Information Technologies. In 2004, Mike was named Global Technology Leader – Imaging Technologies Lab at the GE Global Research Center, where he led the research for imaging technologies across the company as well as the research associated with computer visualization/image analysis and superconducting systems. He led Engineering for GE Industrial and Enterprise Solutions from 2006 to 2009. Mike was named an officer of the General Electric Company in November, 2006. In 2008, Mike was elected to the American Institute for Medical and Biological Engineering College of Fellows for his significant contributions to the medical and biological engineering field. He received the Professional Achievement Award from Marquette University’s College of Engineering from the College of Engineering Alumni Association in 2013. Mike is a graduate of Marquette University in Milwaukee, Wisconsin, where he earned a bachelor’s degree in Electrical Engineering. He holds numerous U.S. patents in the field of medical imaging and instrumentation. Dr. Michael I. Current has been actively involved in ion beam processing, mainly ion implantation, and related metrologies for over 40 years. The focus of much of his work has been on the understanding and problem solving of process issues that develop from the design and operational conditions in ion beam and plasma implantation tools. Recent work includes studies of atomic, molecular and cluster ion and neutral beams for implantation, deposition and etching of nano-scale and quantum confined materials, ALD methods for doping of nm-scale semiconductor structures and the use of high-energy proton ion beams and layer transfer methods for stacking of fully-metallized IC devices for 3DICs. Following his PhD in solid-state physics from Rensselaer Polytechnic Institute in 1974, he has worked for numerous Silicon Valley companies (Signetics/Phillips, Xerox/PARC, Applied Materials, Silicon Genesis, Frontier Semiconductor as well as several start ups and many consulting projects) and has been a visiting and adjunct faculty member at Cornell, Kyoto, Santa Clara and National Cheng Kung Universities. Dr. Current has written over 240 technical papers and book chapters, 8 patents and is a longtime member of the MRS and AVS.